A voluntary group from West Lothian who work in the community to provide sporting and social opportunities for children and young people with a disability has been honoured with the Queen’s Award for Voluntary Service, the highest award a voluntary group can receive in the UK. 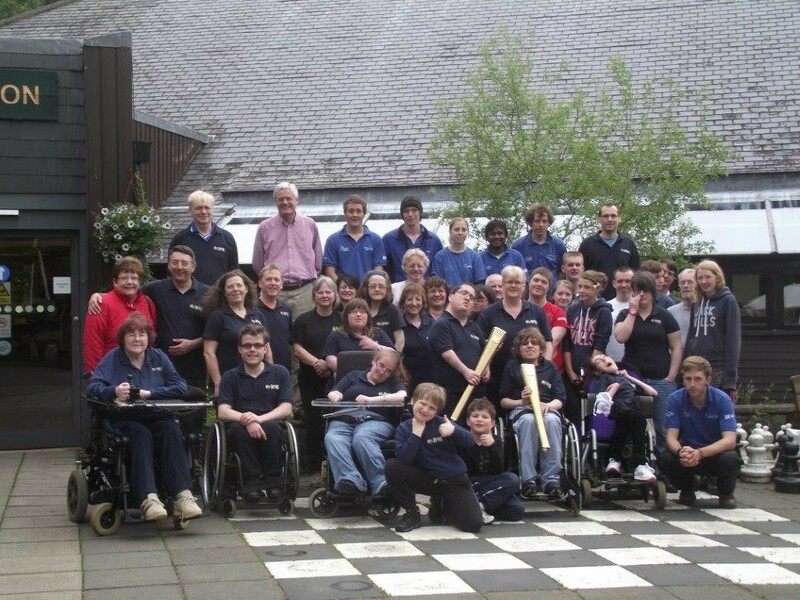 The club operate a multi sports club which meets weekly at Linlithgow, a Boccia Club which meets weekly at Bathgate and in conjunction with Lothian Disability Sport do Archery for the Disabled at Blackburn Community Centre. They also organise Ten Pin Bowling Competitions in Livingston and weekend and weeklong activity holidays/breaks. Anne and Stuart Gurney from No Limits attended a garden party at Buckingham Palace/ on 20th May where they met the Queen and other winners of this year’s award. No Limits is one of 187 charities, social enterprises and voluntary groups to receive the prestigious award this year. The number of awards handed out to groups have increased by over 60% from 2014, due to an increase in high quality applications, showing that the voluntary sector is thriving and full of innovative ideas to tackle community challenges. The Queen’s Award for Voluntary Service is the highest award given to local volunteer groups across the UK to recognise outstanding work in their communities. The awards were created in 2002 to celebrate the Queen’s Golden Jubilee and winners are announced each year on 2 June – the anniversary of the Queen’s Coronation. Award winners this year range from Ablaze, a charity helping to raise academic achievement amongst disadvantaged young people in Bristol to a volunteer rescue boat service on Loch Lomond. No Limits will receive the award from the Lord Lieutenant of West Lothian later this summer. SFA School League Fixture 3 - Albyn Park, West Lothian. 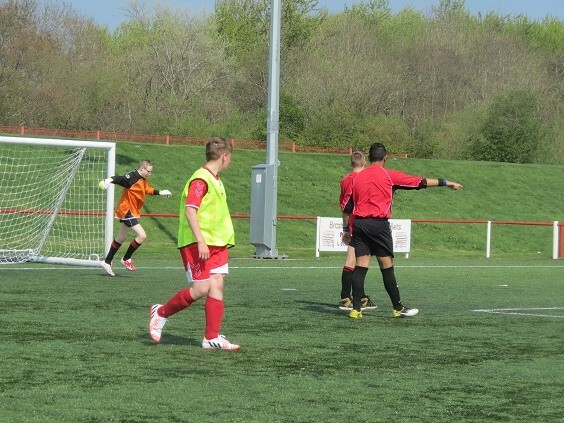 The third league fixture of the season was hosted by Broxburn United at Albyn Park, West Lothian and the sun shone throughout for the three teams in attendance. Unfortunately, Cedarbank were unable to attend the fixture due to staffing issues which left three teams to battle it out for top spot of the league - particularly between West Calder HS and Woodlands. Pilrig Park/Drummond were unfortunate to continue their losing run and they should be pleased with their performance over the two fixtures with both Woodlands and West Calder taking well into the last third of the match before finally breaking them down and wining 3-0 and 5-0 respectively. The race for the title is firmly between West Calder and Woodlands, and this fixture was no different with the two teams battling out a hard fought 1-1 draw. West Calder dominating the possession throughout and equalising near the death after falling behind to an early Woodlands goal. The last fixture of the season is scheduled for Friday 15th May at Albyn Park, West Lothian - 1.30pm kick off. Please feel free to come and support the boys on the final match day of the school year. 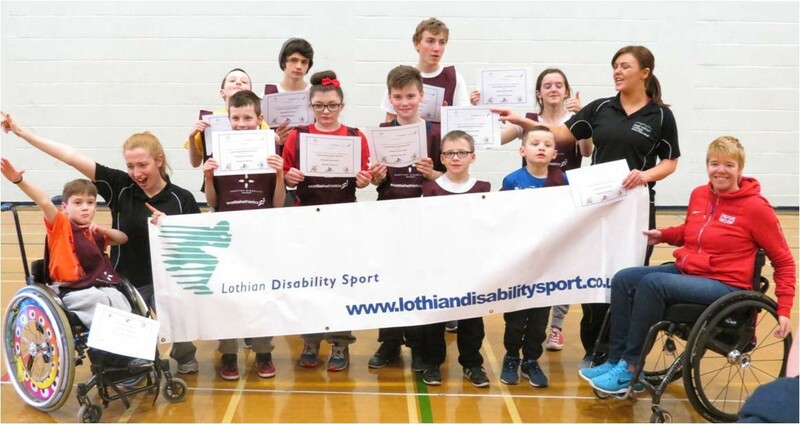 For the 9th year running Scottish Disability Sport in partnership with Scottish Athletics, Sports Development and Active Schools hosted the National Sportshall Athletics Competition at Grangemouth Community Centre on the 4March. 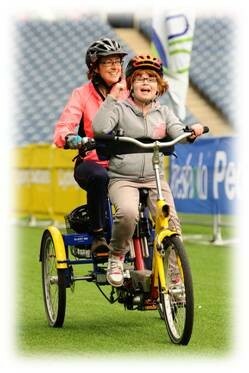 The competition welcomes young people from both primary and secondary schools with a physical/learning disability or sensory impairment. A total number of 90 pupils (10 teams) took part in a range of scoring indoor athletics events such as the javelin throw, standing long jump, speed bounce, target throw, chest push and high stepper.